With Halloween coming this weekend, here is a youtube mashup that I found with D.J. 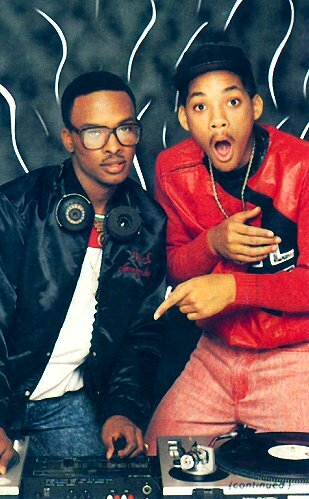 Jazzy Jeff and the Fresh Prince’s “Nightmare On My Street” combined with actual Nightmare on Elm Street footage. We have now reached the conclusion of the 19 Somethin’ series. If you missed the previous articles, you can get caught up here. There is nothing else new in the song related to the ’70s or ’80s. Did you enjoy this series? Let me know your thoughts. There used to be the Beehive, and then the Beatles haircut. Then in the late ’60s early ’70s, there were Afros and men started growing their hair long. But nobody’s hair gets mentioned more than the ’80s. Both men and women had hair that could reach to the stars. And it can be argued that the hairspray, required to hold all that hair in place, burned a huge hole in the ozone layer. In general the hair could be feathered. This was probably started by Farah Fawcett in the late-’70s. The hair could be long or short in the back, but the top and sides would still be feathered. There were other hairdos that could (and should) only be seen in the ’80s. The Feathered hair could lead to the Mullet! Oh yeah, business in the front and party in the back! And don’t forget the Jheri Curl! This was started by Michael Jackson. But Eric LaSalle probably had the best Jheri curls of the ’80s in the movie Coming to America. And finally, there was the New Wave style. 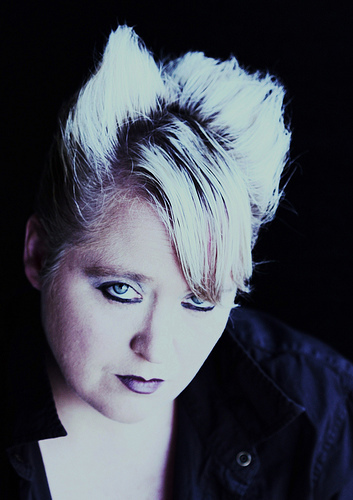 The hair very short at the sides and back and extra long in the front so the hair is worn over one eye. So, long or short, the ’80s probably had the most memorable hair of any decade! And finally, we’ll wrap up with the Parachute Pants. I mean, what else are you suppose to break dance in?!? The parachute pants were made of nylon, and usually had a bunch of zippers. They could also be called Zipper pants. The nylon made it easy to move and slide around while break dancing. I don’t know what exactly the zippers were for though. It’s not like you could fit anything in the pockets. The ’70s can keep their ugly bell-bottoms. We’ll take the parachute pants any day! 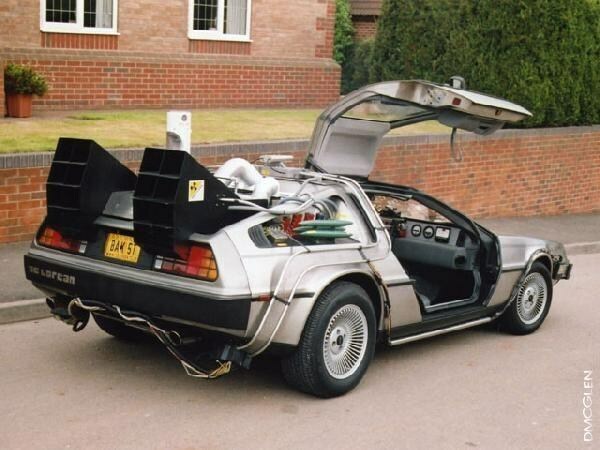 The ’80s had some great cars. One of the most popular was the Pontiac Firebird Trans Am. You can click here to see the original version. “Hungry Like the Wolf” came off of Duran Duran’s second album – 1982’s Rio. This is Duran Duran’s signature song, and made them internationally. The original video constantly played on MTV. It was pretty cool though, since it had a Raiders of the Lost Ark feel to it. Question: What 2 things does “Basket Case” Allison (Ally Sheedy) add to her sandwich? Last Week’s Question: In the video for ‘Time After Time’, where do Cyndi Lauper and her boyfriend live? 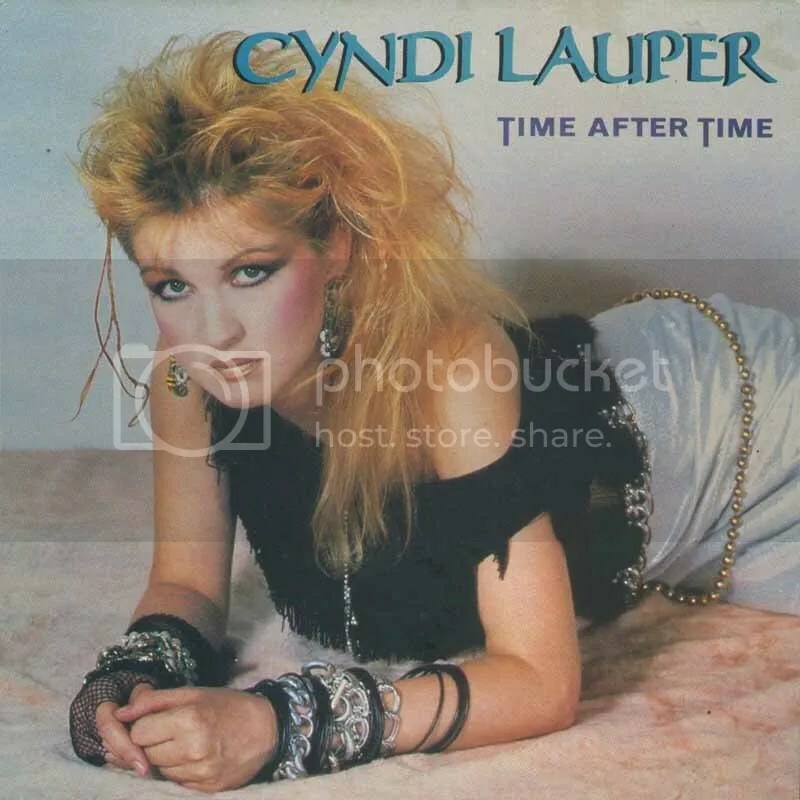 “Time After Time” was the second single released off of Cyndi’s debut album, She’s So Unusual. The song reached number one on the U.S. Billboard Hot 100 chart on June 9, 1984. Lauper’s mother, brother, and then-boyfriend David Wolff appear in the video, and Lou Albano, who played her father in the “Girls Just Want to Have Fun” video, can be seen as a cook. The song has been covered by dozens and dozens of artists, ranging from Jazz legend Miles Davis to Willie Nelson to Ashley Tisdale. I like the song a lot now. But, when it came out I got sick of it quickly as it was on MTV Time After Time After Time After Time After Time After Time…. Today, we will talk about skating rinks. Remember when skates had 2 wheels under the front toe, and 2 wheels under the heel instead of the inline skates where the “roller skate” resembles an ice skate? In the late ’70s throughout the ’80s, going to a roller skating rink was a popular recreation. You would go in and get your rental skates. It could be a pain trying to put them on. You would sit down, grab the skate, and try to slide your foot in. But the back heel of the skate would keep rolling out and away from you. Maybe that was just me. Anyway, you would then go out on to the wooden oval rink and join the rest of the skaters, and try to not to get in anybody’s way. And you would hope that somebody else wouldn’t lose control and crash into you. At least in the latter case, you wouldn’t feel as much as a fool since it would be the other person’s fault! So, you would be skating around to music and socializing. I remember that there were a lot of disco songs playing, such as “Y.M.C.A”, “I Will Survive”, and anything from Saturday Night Fever. There would also be Hall & Oates, “Another One Bites the Dust” by Queen, and Michael Jackson songs. And then uh-oh, Ladies Choice! A slow song would come on, such as “Cherish” by Kool and the Gang, “How Deep is Your Love” by the Bee Gees, or “Babe” or “The Best of Times” by Styx. Then the D.J. would announce that it was Ladies Choice, and the girls would try to find a boy to hold hands and skate with. There were some good times. You would go with a group of people on the weekend. Some kids may have had birthday parties there too. Does anybody have any good or funny memories of roller skating in the 80s? Are there any favorite songs that you remember playing there? Let us know! This has been a tough week for television parents! We lost June Cleaver, Mrs. Brady was kicked of Dancing With the Stars, and Tom Bosley, one of our favorite television dads, died yesterday of heart failure Tuesday after a battle with lung cancer. He was 83. His wife, Patricia Carr, said that he had just completed chemotherapy treatment for lung cancer, which was diagnosed five months ago. 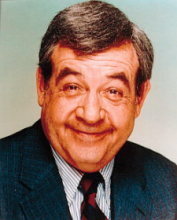 In addition to Happy Days, Bosley made several appearances on The Love Boat, and played a recurring character – Sheriff Amos Tupper – on Murder She Wrote. After Happy Days, he starred on Father Dowling Mysteries from 1987-1991 as Father Dowling. “Don’t Come Around Here No More” was released off of Tom Petty and the Heartbreaker’s 1985 album, Southern Accents. 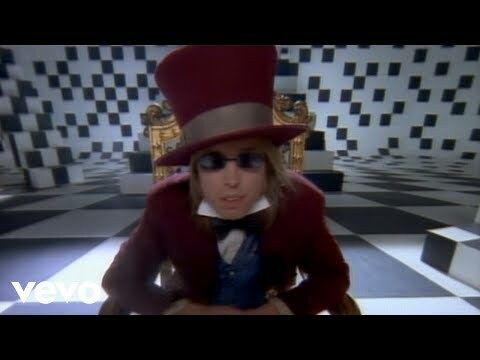 The video was pretty cool with the Alice in Wonderland theme. That is Dave Stewart of The Eurythmics sitting on the mushroom at the beginning of the video. Stewart and Petty collaborated on the song.